Works bikes are built to win; it’s their function in life, an if they look good too that’s a plus point. 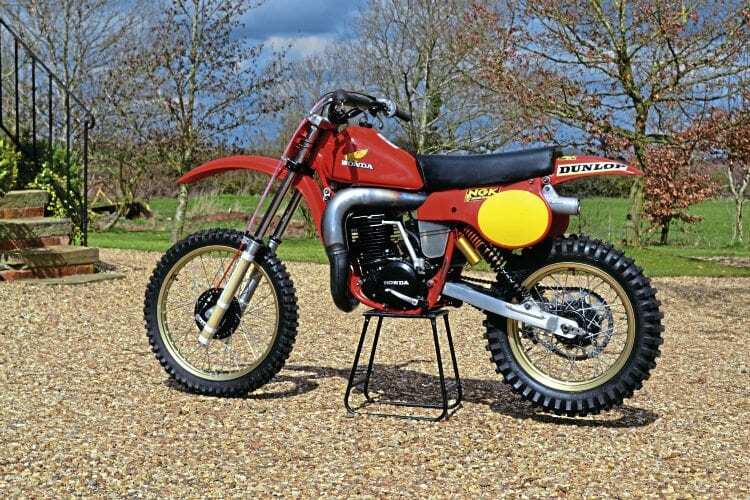 CDB has a look at a stunning winner – ex-Graham Noyce 1979 500RC Honda. Refurbished to as- raced condition rather than over restored is a much nicer way for this particular machine. There is little room for sentimentality in the race world, this week’s new development is next week’s old hat as the factory race or competition department focuses on the next meeting. Things are tried, things are incorporated, things are dismissed. All that’s important is success. Once the season is over all eyes and thoughts are on the next season as lessons are learnt from the successes or failures at each GP, this year’s bike discarded or passed on often with little or no thought to posterity. Outside of the factory walls these machines are awe inspiring as veritable giants among racers wrestling them to success and propelling themselves to superstardom on the way. The accepted fate of many such machines once their ‘life’ was over was to be recalled to the factory then crushed or broken up to prevent them being a challenge to the next season’s machine. Though rumours persist that stories of such practices were allowed to become folklore while the actual machines were spirited away to cellars or stores and locked out of sight… perhaps that’s what we, the enthusiast, want to believe happened.